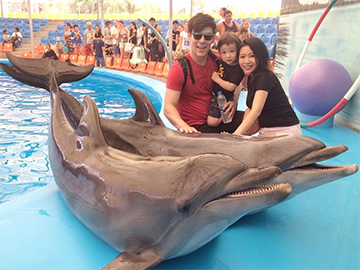 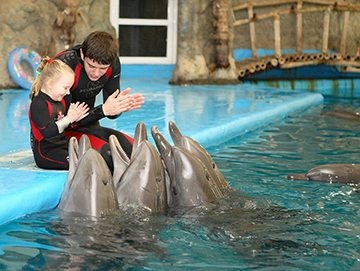 The dolphin show is spectacular and good fun for the kids !! 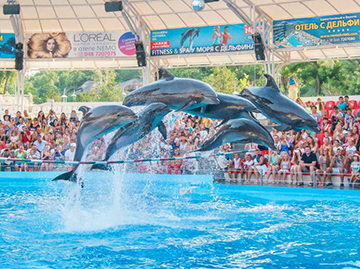 If you want a close look at the dolphin and if you want to get splash & kiss by dolphin then you should buy the VIP seat (Row A,B) you get to kiss from dolphin but you will get wet. 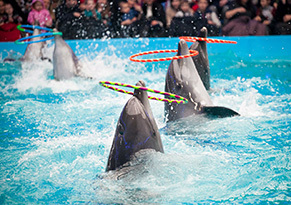 > First 10-15 minutes starts with two seals performing. 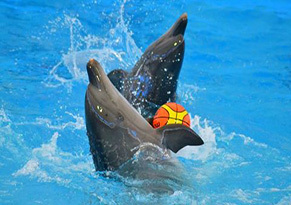 The show will be on stage and the greeting of customers will be around the pool. 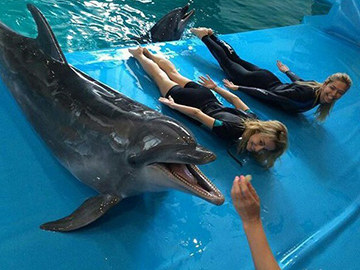 > The next 30-35 minutes will continue with the dolphin show. 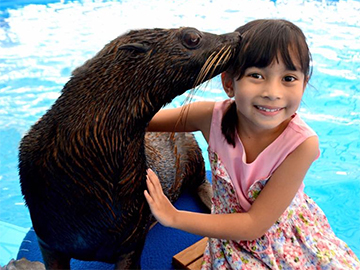 > After the show, Customers will have chance to be closer to the dolphins and seals by taking photos with them at an extra charge. 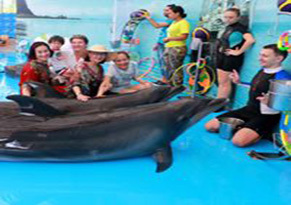 • Dolphin Show is open every day exept Monday. 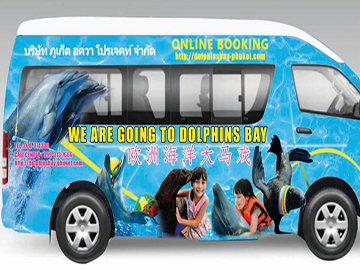 • VIP Seat ( Row A, B ) reserved seat Upgrade change 200 Baht per/seat : Cash on tour day. 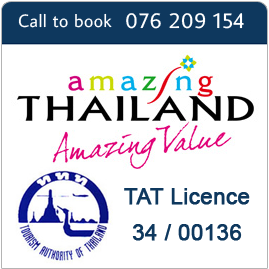 • This Price included Deluxe Seat (Row C, D , E ) and Transfer to / from your hotel.